Also... if the price is P3, where is supply? There does not seem to be a supply curve - so why is P3 equilibium? We should distinguish Marginal Cost in short-run and long-run. In the short run it's easier for monopolists to count marginal cost. 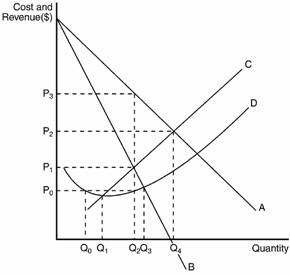 Long-run marginal cost means the additional cost or the cost saving per unit of additional or reduced production, including the expenditure on additional capital goods or any saving from disposing of existing capital goods.